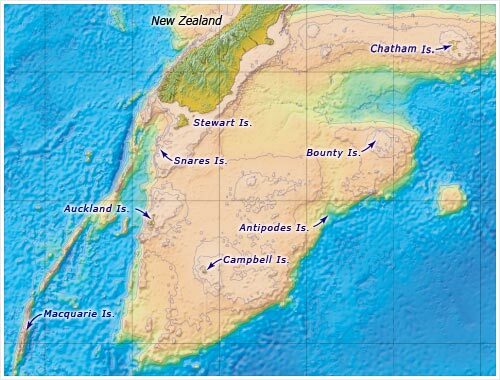 This map shows the position of New Zealand’s subantarctic islands, with the Snares and Auckland islands in the west and Campbell, Antipodes and Bounty islands further east. All sit on the Campbell Plateau. Australia’s Macquarie Island is also shown.